Echoes of the Sixties, the first book by EditPros co-owners Marti Smiley Childs and Jeff March, has been reissued in digital form. The book, which Billboard Books published as a trade paperback in 1999, has been out of print since August 2001. Although several online retailers have continued to offer used and "remaindered" copies of Echoes of the Sixties (for which we receive no royalties), numerous readers have requested an e-book version for electronic readers. 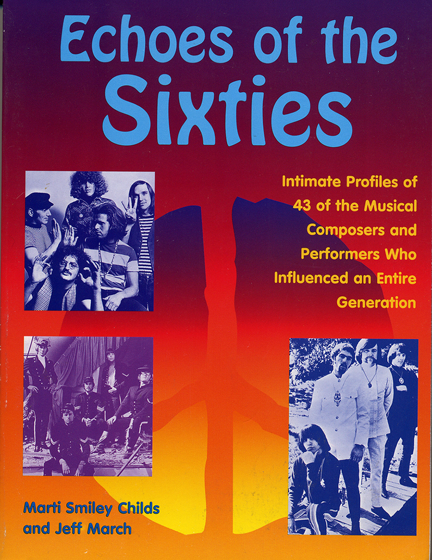 Preserving the original book manuscript, the e-book version of Echoes of the Sixties consists of 12 chapters, each focusing on a musical group or solo artist who first achieved popularity in the 1960s. Every chapter begins with an essay documenting the recording achievements of each band or soloist, followed by individual biographies examining the lives of each of the 43 featured performers. The book contains photographs of the musical artists with whom we had wide-ranging conversations, showing them as youths and as mature adults. IRON BUTTERFLY, the psychedelic heavy-metal Southern California band whose monumental LP In-A-Gadda-Da-Vida, featuring the 17-minute title track, remained on the charts for 140 weeks, more than half of that time in the top 10. Echoes of the Sixties is available in digital (e-book) form for Amazon Kindle, Barnes & Noble Nook, Apple iPad and other electronic tablets. 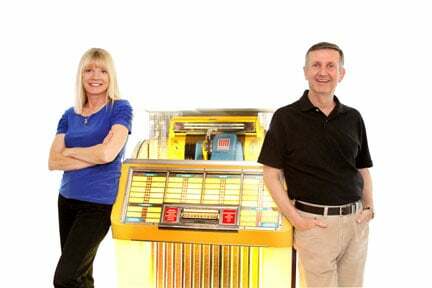 Marti Smiley Childs (left) and Jeff March with 1951 Seeburg 100c Select-O-Matic jukebox (from the collection of Cindy and Terry Knight). Photo and book cover design by Amanda Domingues. "Like" our "Where Have All the Pop Stars Gone" Facebook page for daily posts celebrating anniversaries in the history of pop and rock music.